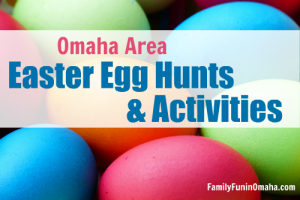 Choose from a variety of locations in the Omaha Area for Photos with Easter Bunny and Pet Photos! *It is always a good idea to verify times and dates before visiting as they may change. A photographer will be on site to take a photo of your kid(s) with the Easter Bunny. The event is on Monday, which is kid’s night, and kids ages 8 and younger eat for free with the purchase of an adult entrée. Have your photo taken with the Easter Bunny (See schedule of times here. Bass Passes will be needed for every photo taken.) Crafts will be while supplies last. Location: 2901 Bass Pro Dr., Council Bluffs, IA. Have your photo taken with the Easter Bunny (See schedule of times here. Crafts will be while supplies last. Visit and take pictures with the Easter Bunny, enjoy free pony rides and face painting, play games, win prizes, and check out the petting zoo complete with an alpaca. Location: 72nd St. & Hwy. 370, Papillion, NE. Easter Bunny Storytime at Athleta Omaha from 10:30 – 11:30 a.m. Then visit and take photos with the Easter Bunny at GapKids from noon – 3 p.m. Location: 17305 Davenport St., Omaha, NE. 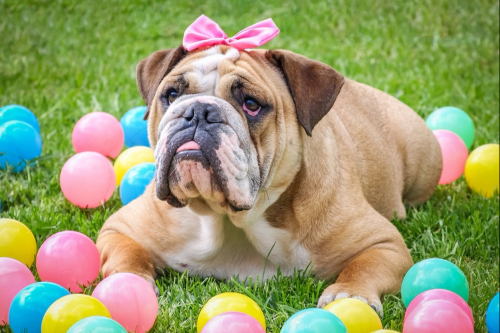 Dogs and cats of all shapes and sizes are welcome during our pet photo nights. Reservations. Dogs and cats of all shapes and sizes are welcome. FREE photo opportunity with the Easter Bunny. Location: 17035 Evans Plaza, Omaha.